While it isn't quite cold enough for hats here just yet I am starting to think of all the wonderful ones I can either make or that I own. I love that fall brings the opportunity to wear layers! Blogger Amy of est. 1839 did a great post about some great products at target & one was a great hat! I love being able to keep all cozy warm with a handmade or store bought hat. But I tell you there is one thing about crocheting/knitting something that just keeps me extra warm. So this Tuesday, these hats are all hats that I'd like to try to make! 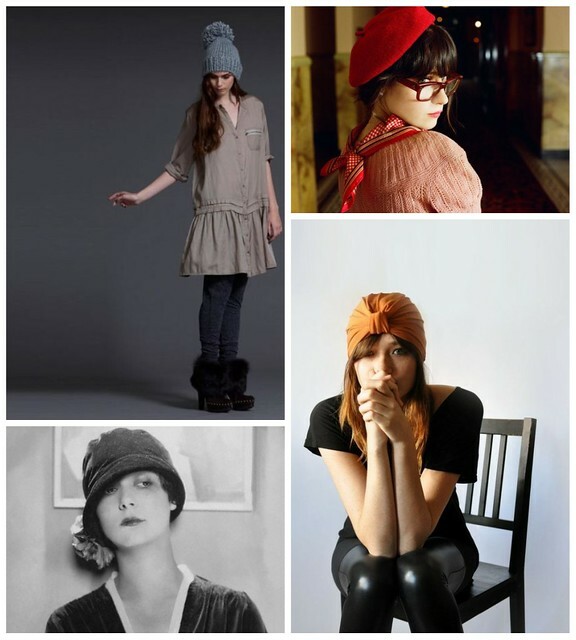 I've always wanted to try a turban style hat. I have no idea how to even begin. All the ones I've tried come out looking insane! Perhaps I will be able to get the hang of it eventually! What are you wanting to make this fall? Have you found any mainstream inspiration?